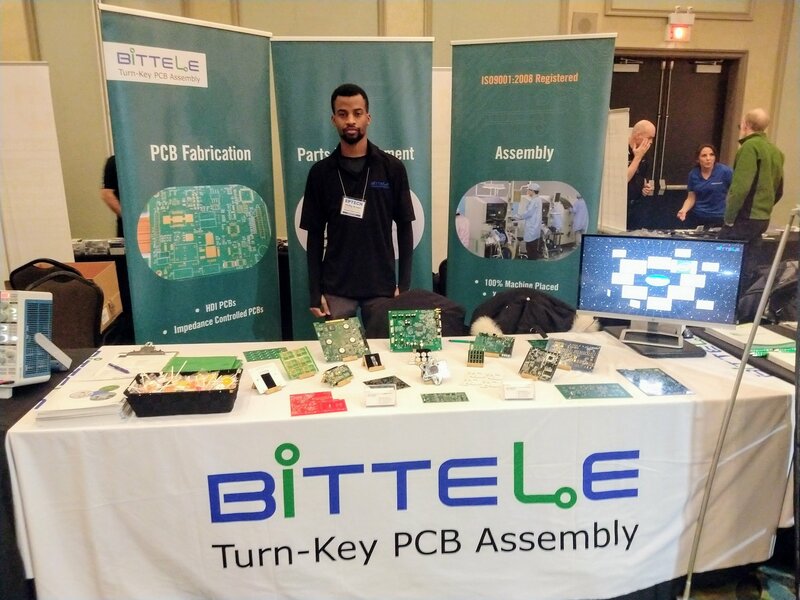 Toronto-based Bittele Electronics, a leading PCB assembly service solution for prototype and low-volume to mid-volume turnkey PCB services, attended EPTECH 2019 in Montreal on March 5, Mississauga on March 7. Bittele provided valuable face to face technical advice on DFM, PCB fabrication and assembly to its current and potential customers. EPTECH is the only series of coast-to-coast national electronics shows in Canada. The series is sponsored by EP&T, Canada's largest professional electronics trade publication, and is produced by Business Information Group, a leading technology-information provider. Employing a highly time-efficient table-top display format, EPTECH shows target electronics designers, research and developers, engineers, technicians, technologists, purchasers and technical managers. EPTECH exhibitors cover a very broad spectrum within the electronics industry, displaying such products as semiconductors and Ics; passive and electromechanical components; test equipment and electronic instrumentation; connectors; design, test and technical software; technical computer systems and products; design, testing and contract manufacturing services; electronic chemicals and materials production equipment; and industrial electronics products.